Thanksgiving is the perfect time to gather together as family and evaluate the needs of your senior loved one. This is the time, for many families, when siblings will be together and we feel it’s a great opportunity to review the safety and well-being of mom and/or dad. 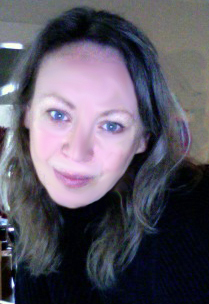 We at Caregiverlist publish a list of issues for family discussion. Remember to get your senior involved and really listen to what they have to say. Treated early, some age-related illnesses can be given the proper medical attention in order to slow progression. Take the time to think about any care needs your senior relative may need as their health conditions change. It is sometimes easier for those who do not see their parents and grandparents often to notice changes than for those who have daily interactions with them. How is their hearing? Their vision? Are your elder relatives getting dressed, washed and prepared for their day? Are they taking their medications at a regular time each day? Are they exercising as part of their daily routine? How is their diet? Ask your senior family member what their week is like. Who are their friends? What are they doing? Healthy aging requires maintaining physical and mental exercise and socialization. Do they belong to any clubs or church groups? How would they feel about attending an adult day care center for a chance to get out of the house and enjoy both mental and social stimulation? Who is taking care of mom and/or dad? What are there day-to-day needs? Sometimes it is necessary to involve a family member or caregiving service to assist with care needs, at least part-time, as abilities change. If you live far away from senior family members, take the time to investigate senior care options in their town when you are visiting. Find out what quality Senior Home Care Agencies are in their area and learn about senior service programs. Obtain names and numbers so you will be able to contact someone to assist if the need should arise. And if family is not nearby, seniors nationwide may turn to their local Area Agency on Aging to learn about community senior care services and programs such as meal delivery, transportation and senior activities. Distance caring is a reality for many families. Thanksgiving is a joyous time to be together and give thanks that we have the opportunity to make decisions to better assist those we love to age well. Caregivers employed with senior care companies know the realities of caregiver stress. Caregiverlist invites all family caregivers and professional caregivers to take a moment for relaxation with our photo of the week and inspirational quote. This week's photo features one of a kind sunset with clouds, for caregivers and nurse aides to relax. Thank you caregivers and certified nursing aides for caring for our seniors and please refer your friends to apply for part-time and full-time job positions on Caregiverlist.com and visit our career center for additional career tools. "The only source of knowledge is experience." Learning and using a foreign language engages the mind and switching from English to another language exercises the brain in a way that helps delay the onset of dementia. The "Learn Spanish" app by Mindsnacks teaches basic Spanish words and pronunciation for senior caregivers and their clients. As Spanish continues to become a more prominent language in the United States, some caregivers may have senior clients whose first language is Spanish. Those caregivers can use this app to learn the basics of the language if they don't already know it and practice their pronunciation with their senior clients. For seniors who don't speak a second language, this app provides stimulation to the part of the brain responsible for building up a "cognitive reserve," which prevents the onset of dementia. 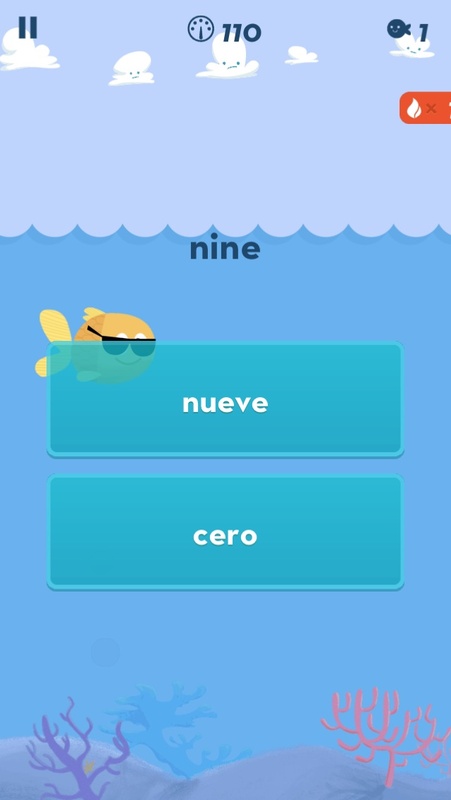 The app itself requires the user to create an account and asks for the user's experience level with speaking Spanish. Upon choosing the lowest level, it begins the game. The app displays a word in one language and then provides two choices for a matching word in the other language. For example, the Spanish word on top might be "Dos" and the two English words below it might be "Two" and "Three." The user must select "Two" to earn points as "Dos" is the Spanish word for "Two." The app makes this into a game, awarding points for each correct answer and ending the round when the user does not answer a question or chooses too many incorrect answers. After each round, it offers an evaluation of how well the user understands each of the words presented, with scores fluctuating and improving as the user plays more rounds. The basic version of the app is available for free for Apple products. Senior caregivers, let us know your feedback on this app and keep us posted if you discover additional apps that assist with caregiving duties and help relieve caregiver stress. You may also refer-a-friend to a senior caregiving job and win prizes weekly and monthly on Caregiverlist. 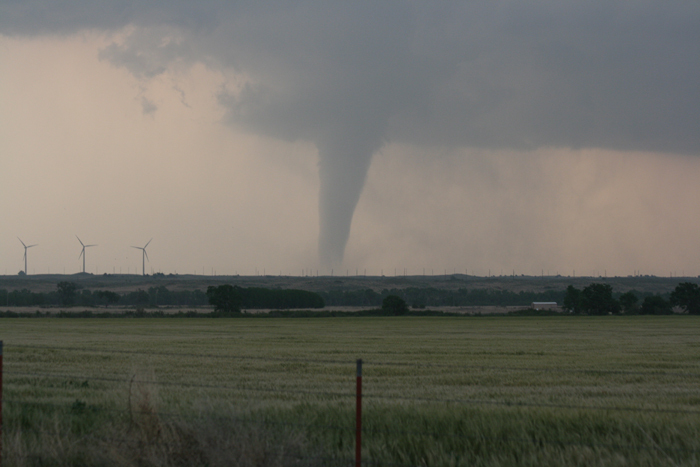 Deadly tornadoes ripped through the midwest this past weekend. 81 tornado reports were issued in Indiana, Kentucky, Missouri and in Ohio. The hardest hit was Illinois, Caregiverlist’s home state. Extra cash: access to banks and ATMs may be limited for a time. Your disaster plan should also include a choice of below-ground shelter if the senior lives alone. Make sure disaster preparedness is a question on your checklist if you are looking into choosing a nursing home for your loved one. The American Red Cross reminds affected residents to return to their neighborhood only when officials say it is safe to do so. Wear long pants, long-sleeved shirts and sturdy shoes. Avoid fallen power lines or broken gas lines - immediately report them to the utility companies. Use flashlights, not candles when examining buildings. After a disaster, seniors especially can fall prey to scam artists looking to take advantage of the misfortunes of others. Look for legitimate assistance for services through your family member’s State Agency on Aging. Consider hiring a Home Care Agency if you live a distance away from your senior loved one, so that someone is nearby and is ready to help. Our hearts go out to those who lost family, friends and homes during these unexpected severe storms. If you’d like to help, you can donate by visiting www.redcross.org, calling 1-800-RED CROSS or texting the word REDCROSS to 90999 to make a $10 donation. Your donation helps provide food, shelter and emotional support to those affected by disasters. Caregivers employed with senior care companies know the realities of caregiver stress. Caregiverlist invites all family caregivers and professional caregivers to take a moment for relaxation with our photo of the week and inspirational quote. This week's photo features golden a golden tree full of beautiful yellow leaves. Thank you caregivers and certified nursing aides for caring for our seniors and please refer your friends to apply for part-time and full-time job positions on Caregiverlist.com and visit our career center for additional career tools. "You can learn new things at any time in your life if you're willing to be a beginner. If you actually learn to like being a beginner, the whole world opens up to you". Alzheimer's prevention requires an effort on the part of senior caregivers and their clients to keep their minds and bodies active as they age. No single cause of Alzheimer's can be found, though. The Brain Games app offers several valuable tips for seniors and caregivers on specific habits for daily life to help prevent Alzheimer's. The title of the app is slightly perplexing as it highlights tips instead of actual games, but nonetheless provides useful information. The app features a very simple layout with the ability to pick a tip highlighted on a card and then flip it over to read more about it. Users can see that one of the first tips is to read a good book. If they flip the card over, they learn that reading draws on the imagination which forces the brain to make connections. Users then can easily move onto the next tip when they're done reading with a swipe of the screen. The free version of the app presents 11 tips for users, some of which include less common Alzheimer's prevention suggestions such as eating a protein based breakfast to fuel the brain and cutting back on alcohol. The app does lack depth in Alzheimer's education outside of these tips, though. Adding a section with information on how Alzheimer's develops and affects the brain would be useful for furthering caregiver and senior knowledge of the disease. This app is best used to offer tips and supplement information from other sources on Alzheimer's disease. The Brian Games App is available for free for Apple products. 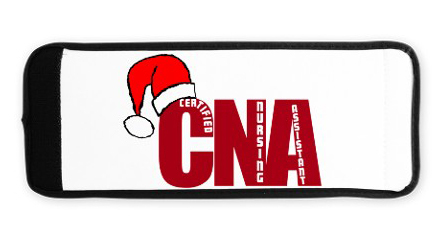 The holidays are right around the corner and it’s the perfect time to recognize and appreciate the Certified Nurse's Aide in your life. Scrubs magazine acknowledges that C.N.A.s are sometimes overlooked in discussions about the nursing profession. But they want to make sure all nurses get the credit they deserve. They’ve put together some incredible gifts and gear to celebrate the unsung heroes of the caregiving world. 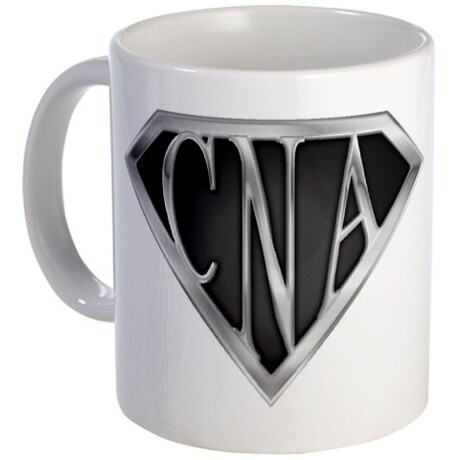 You might feel a tad weird walking around with a CNA SuperNurse emblem on your scrubs top (or your cape). But having one on your coffee mug is a little more low-key. This design is available in a traditional ceramic cup with an easy grip handle or a travel mug to take on the go. This little gift is very sweet! 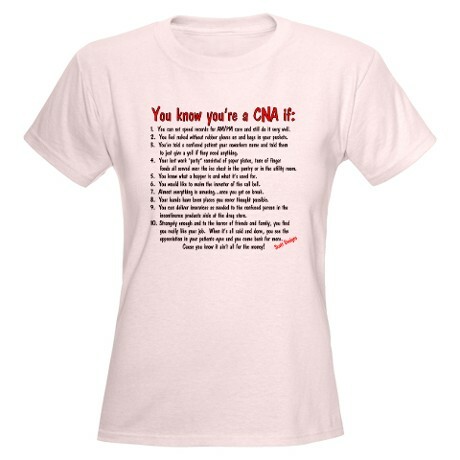 It’s got a short poem on the front about what it means to be a CNA. There’s also a list of all the colors of the M&M rainbow and what they stand for. Red is for kindness, blue is for your caring ways. The little candies are “tranquilizers” that you don’t need to write a prescription to share. Are you super chill like Santa at the North Pole? Now you can keep your soda just as cool with this Velcro can cozy. Plus, no one will be able to claim they didn’t know that was your Coke in the fridge. It doesn’t matter how long you work in a hospital, seeing patients eating their meals in bed every day…you still secretly wish that your significant other would pamper you with a breakfast in bed once in a while. Give your loved one a strong hint by purchasing this serving tray. If you still don’t get the bedside service you want, tote it to the hospital cafeteria to give all the other nurses tray envy. 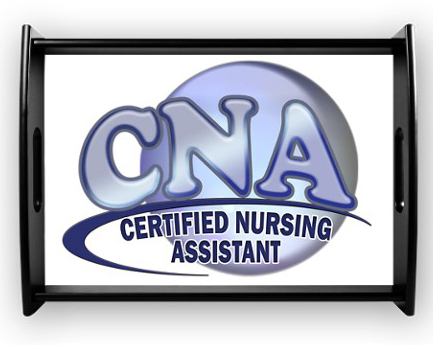 Are You Really a CNA? Have you ever told a patient your coworker’s name and said to just give a yell if they need anything? That’s just one of 10 ways you know if you’re a CNA. This T-shirt is funny because it’s true! Plus, there’s plenty of room on the back for you to add more insights with a fabric marker, so go to town! This porcelain holiday ornament lets you take your job home with you in a cheery way. 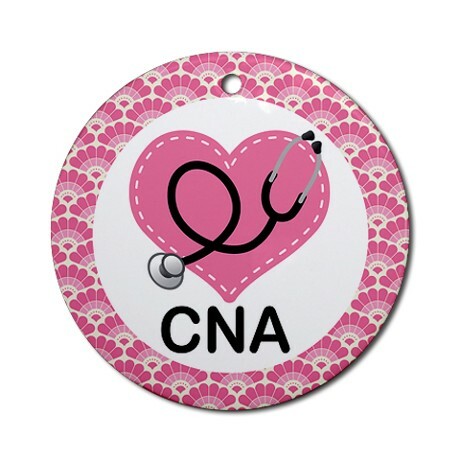 It also makes a nice Secret Santa gift for an exchange at work or a stocking stuffer for a favorite CNA in your life. This ornament comes with a red ribbon so you don’t have to find a paperclip or a length of suture to hang it on the nearest tree. Caregiverlist is proud to have partnered with Scrubs magazine, the nurse’s guide to good living, to offer a Scrub of the Month as a Grand Prize in our Refer-A-Friend program. If you know someone who has what it takes to be a great caregiver (you know the type — good work ethic, reliable, and above all, empathetic), fill out the form and we'll be happy to set them on a career path that offers the ability to make a huge difference in someone's life. And you might just win some great scrubs! Senior veterans who have served in certain wars qualify for a senior care benefit in the home called: Veteran's Aid and Attendance Benefit for senior care. This is not a benefit that seniors are always aware of but the additional benefit is that veteran's spouses also qualify. This benefit pays for senior caregiving services in the home, provided by licensed senior home care agencies with pre-approved Care Plans. You may submit a request for senior home care in your area to obtain the licensed companies servicing veterans through the Aid & Attendance benefit. 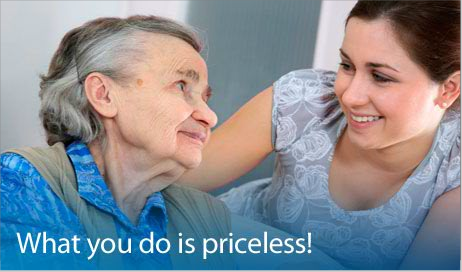 Professionally trained caregivers are supervised in providing the care. A senior must qualify to need caregiving services with a doctor's approval and the proper government paperwork must be filed. You may download the Veteran's Aid & Attendance filing forms and learn more about both qualifications and benefits for Aid and Attendance benefits on Caregiverlist's research section. Senior caregivers, whether they be Certified Nursing Aides, Home Health Aides, professional and family caregivers, or the community at large, are vital to the care and keep of our aging American population. November is National Caregiver Month, and is the perfect opportunity to thank those who have made it a priority to provide home and health related services to the elderly, including physical and emotional support and assistance with activities of daily living. Family (or informal) caregivers provided services valued at $450 billion per year in 2012, according the the AARP Public Institute. In the United States, 65.7 million caregivers make up 29% of the adult population providing care to someone who is ill, disabled or aged, and 50% have full-time employment outside the home. Family caregivers cannot always fulfill all the needs of their senior loved ones. Future numbers are staggering — the aging population 65+ will more than double between the years 2000 and 2030, increasing to 71.5 million from 35.1 million (in 2000). That explains the incredible surge of senior care industry and the need for qualified professional caregivers. The number of Senior Home Care Agencies has grown by 40% since 2008, according to a recent Caregiverlist employment index infographic. Caregiver jobs are filled at a rate of three to six hires per week, making professional senior care one of the hottest employment sectors in the United States. 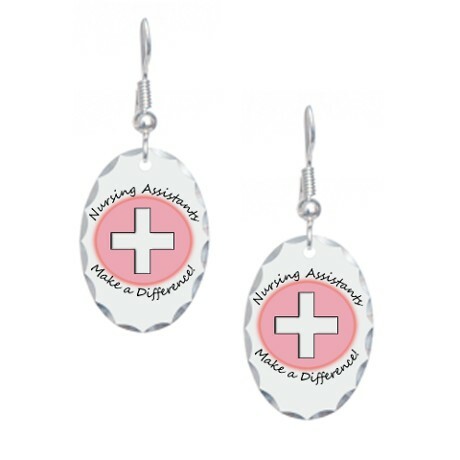 Recognize caregivers in your community, in your organization and in your family. Host a get-together to honor caregivers in your family and/or community. Locate a community care center or community space and organize a Caregivers Count awareness event. Attend local town hall meetings and ask your representative what s/he is going to do to promote legislation that will help businesses develop more family-friendly caregiver policies. 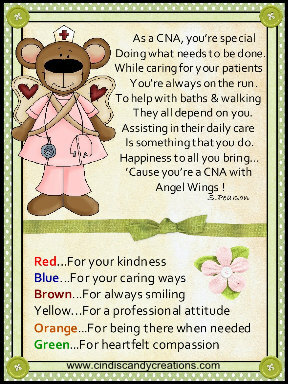 Send an e-card to a caregiver. AoA offers free e-cards for caregivers. Post on Facebook that November is National Caregivers Month and encourage your network to acknowledge caregivers in their families and communities. Tweet about the importance of caregivers and resources available to caregivers. We depend on professional and family caregivers. Give a shout-out to the caregivers in your life in the comments below. Caregivers employed with senior care companies know the realities of caregiver stress. Caregiverlist invites all family caregivers and professional caregivers to take a moment for relaxation with our photo of the week and inspirational quote. This week's photo features lively sunrise. Thank you caregivers and certified nursing aides for caring for our seniors and please refer your friends to apply for part-time and full-time job positions on Caregiverlist.com and visit our career center for additional career tools. "Everything has beauty, not everyone sees it."